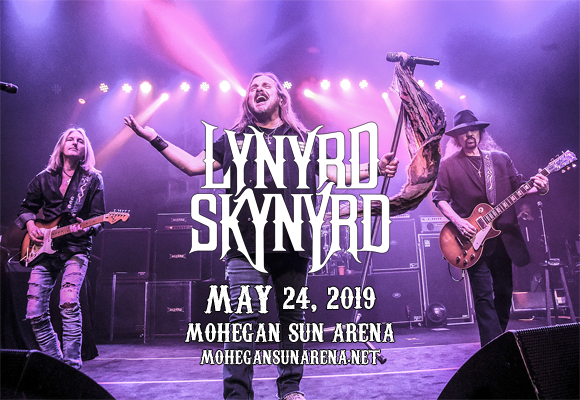 Lynyrd Skynyrd's Last of the Street Survivors Farewell Tour comes to Mohegan Sun Arena on Friday 24th May 2019! The Rock and Roll Hall of Fame inductees are hanging up their hats after 55 years together, but not before they embark on an epic, definitive victory lap! Expect to hear all the classic, from "Freebird" to "Sweet Home Alabama", as this beloved band takes to the stage one last time! A band synonymous with the Southern Rock explosion of the 1970s, Lynyrd Skynyrd was formed in 1964, under the name My Back Yard. Over the years, they honed their craft and became Lynyrd Skynyrd, releasing their eponymous debut (subtitled "Pronounced Leh-nerd Skin-nerd") in 1973. The album was a hit, launching the single "Freebird", and their popularity was furthered with their follow-up, Second Helping, which was platinum-certified and contained their seminal hit, "Sweet Home Alabama". In 1977, at the peak of the band's popularity, tragedy struck when frontman Ronnie Van Zant, guitarist Steve Gaines and backup singer Cassie Gaines lost their lives in an airplane crash. The remaining band members went their separate ways for ten years, but Lynyrd Skynyrd officially reformed with a new line-up in 1987, and has continued to tour and record together ever since. It was announced in 2018 that the band will retire from touring, and that the Last of the Street Survivors Farewell Tour will be their final stint on the road.